Mount Terra is a G.U.A.R.D. codename for the inexplicable volcanic eruptions that sometimes follow the path of the Terrasaurs. These are either a reaction to their presence or are perhaps part of some deliberate plan. 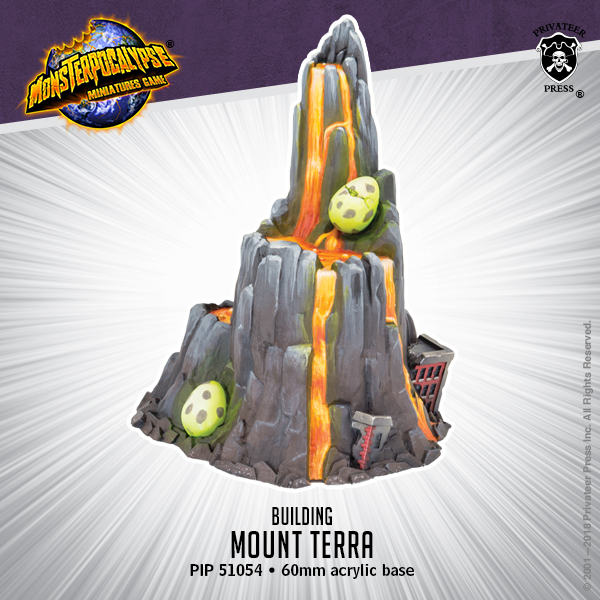 Whatever their origins, Terrasaurs seem reinvigorated in the presence of Mount Terra and have been known to utilize the radiant heat of these eruptions to accelerate the hatching of their eggs.